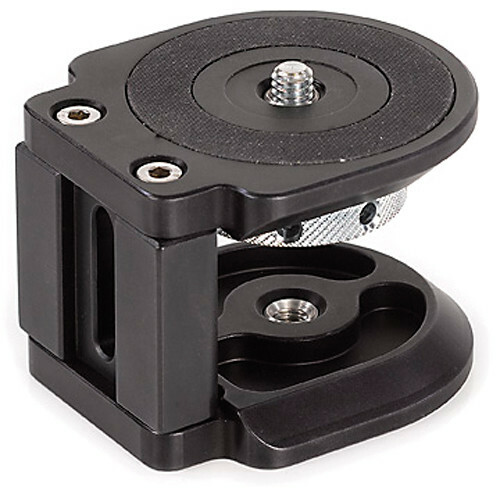 The Cambo Compact Camera/Tripod Mount Riser for DSLRs and Small DV Cameras (1.85") allows you to mount your DSLR or small DV camera on a tripod, slider, or other device, raised 1.9" off the mounting platform. It features a 1/4"-20 mounting thumbscrew on top and 1/4"-20 and 3/8"-16 mounting threads on the bottom. Box Dimensions (LxWxH) 5.197 x 2.913 x 2.756"